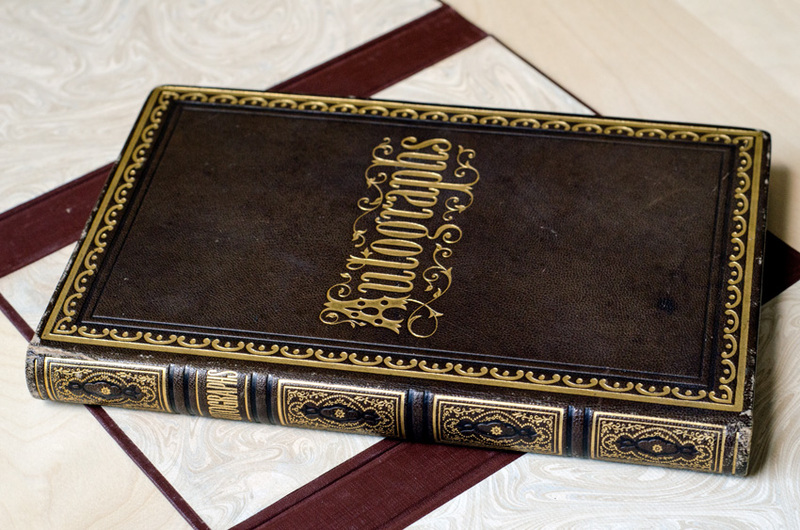 Our auction of Maps & Atlases, Natural History & Color Plate Books on June 7 brought to market landmarks from the history of cartography and ornithology. The nearly 400 lots traced important developments in science and natural history, especially in North America. 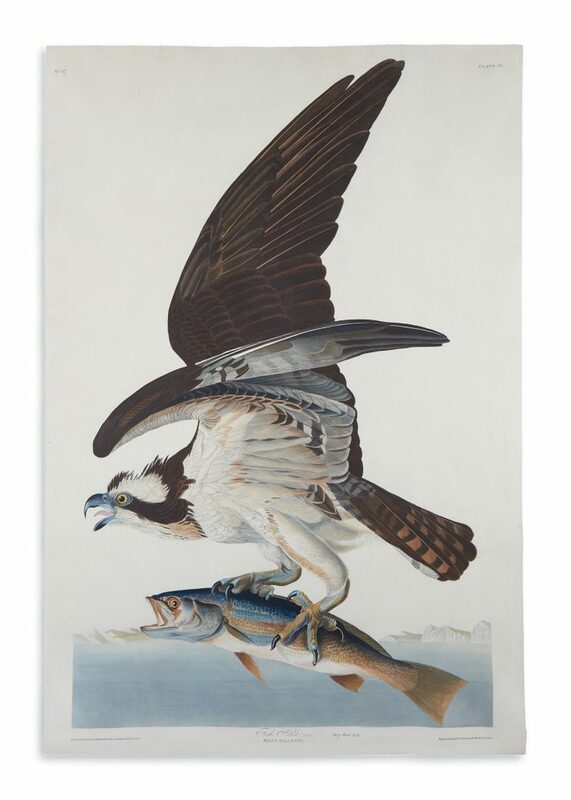 Lot 337: John James Audubon, Fish Hawk, Plate 81, hand-colored aquatint and engraved plate from Birds of America, London, 1830. Sold June 7, 2018 for $68,750. Lot 54: Nicolas de Fer, L’Amerique Divisee Selon Letendue de ses Principales Parties, engraved decorative wall map, Paris, 1713. Sold June 7, 2018 for $30,000. By delightful coincidence, all three of the most important “Beaver Maps” were in the sale and performed well. 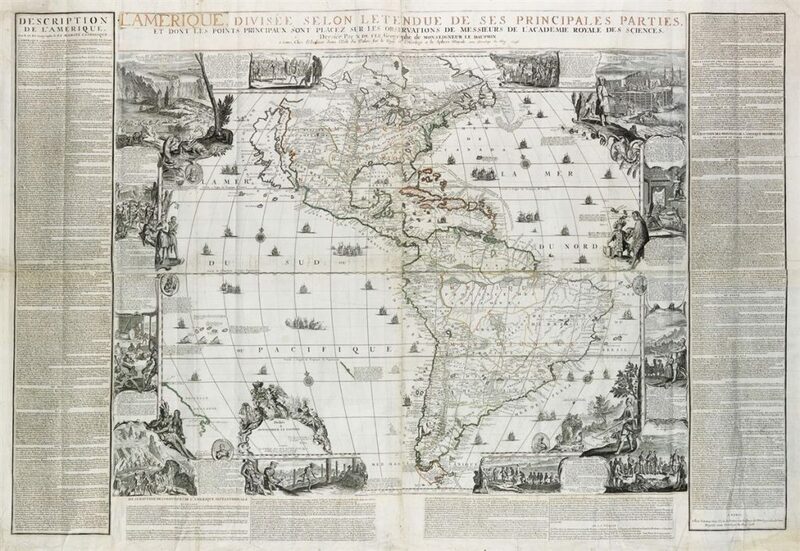 Nicolas de Fer’s L’Amerique Divisee Selon Letendue de ses Principales Parties, 1713, colloquially known as the “Original Beaver Map,” was the first major map to include an engraved cartouche of beavers in the wilderness. 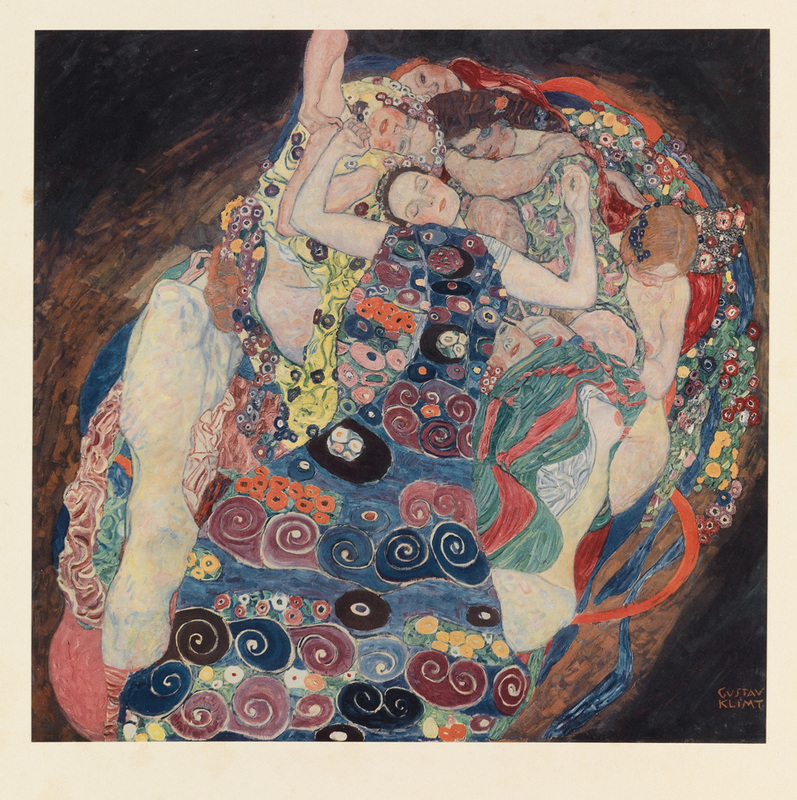 It was purchased by a collector for $30,000. The beaver motif was emulated and popularized later by Herman Moll in his circa 1735 atlas, The World Described, on the spread depicting New England, which came to be known as “The Beaver Map” for its ubiquity ($22,500). Finally, “The Dutch Beaver Derivative,” the moniker given to Henri Chatelain’s 1719 long Carte Tres Curieuse de la Mer du Sud…, reached $9,375. 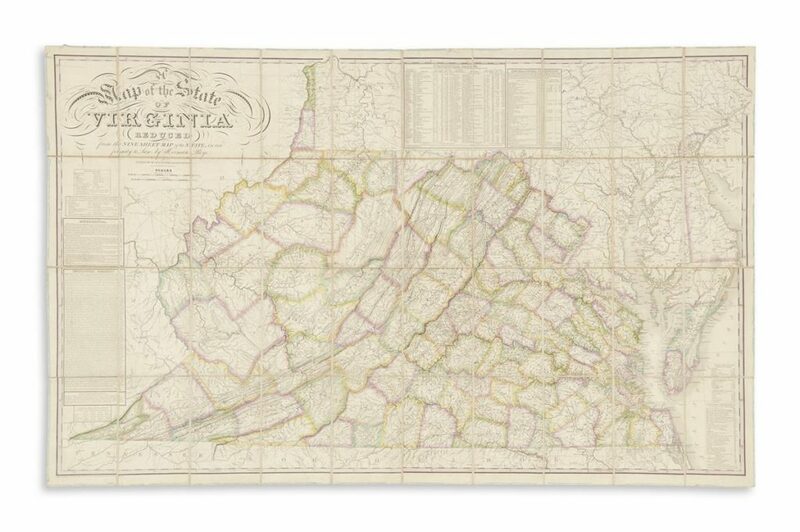 Lot 25: Herman Boye, A Map of the State of Virginia Reduced from the Nine Sheet Map of the State, in Conformity to Law, case map, Philadelphia, 1827. Sold June 7, 2018 for $27,500. 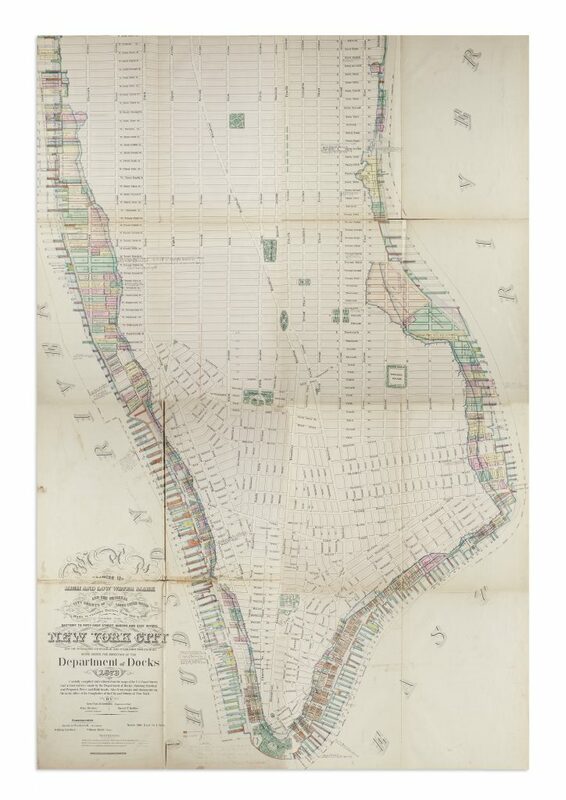 Lot 280: Map of Manhattan issued by the Department of Docks, compiled by Charles K. Graham, 1873. Sold June 7, 2018 for $8,750.